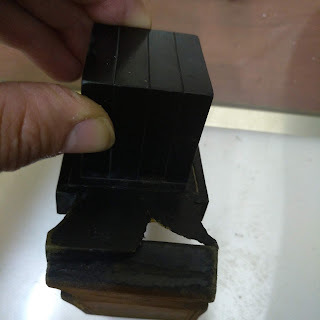 In order to figure out the width of the amud I need to know the width of the Bnai Haman and the width of V'es then I can calculate the space to leave in between. (Will be according to Rav Elyashiv who holds the space should be 2x the width of both V'es and Bnai Haman. (For example, if Bnai Haman is 6cm and V'es is 4cm then the space in between is 20cm. 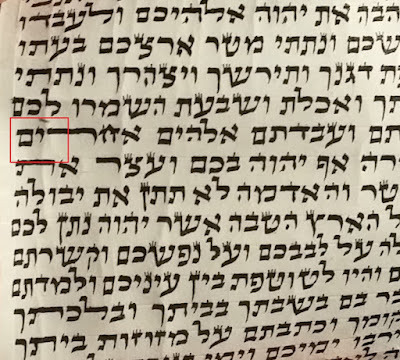 Whenever I write a megila in a new size I write “פרשנדתא" and “עשרת” (in that size) three or four times on a scrap of klaf and take the average of the measurements. I don't believe Rav Eliashev said so in case of a large megila. maybe he said so as a plus for an 11 liner. 1)It is clear that if it will be read as 2 columns its posul. 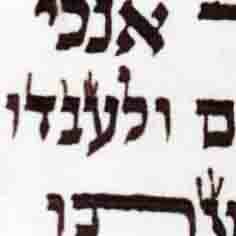 2)Lehalacha 9 letters space is kosher. 3)kiflayim is not brought down in earlier poskim. 4) Rashi in megila is a commentator. 6) Not even one old megila was written with kiflayim. I've clarified that in fact Rav Elyashiv holds the same no matter the size of the megillah. A sefer by the aforementioned mechaber will be coming out that deflects the concern that the aseres of a large megillah appears more as 2 separate amudim than in a smaller one.